A site by, for, and about Geek Girls! Written by: Jonelle :) on September 14, 2016. This week, Turner Classic Movies aired The 44th AFI Life Time Achievement Award: A Tribute to John Williams, (which apparently was in June, but this is the first time I’ve seen it) and while I’m almost sure I was supposed to be doing something else, I was riveted. Why you ask? Because I have always had a deep emotional reaction whenever I hear one of his grand themes. After all John Williams orchestrated all the great movie moments of our lives. I personally love tributes. I love to hear the people gush, I love to see the behind the scenes videos and I love to hear the tributee talk about all their amazing work as if it was the simplest basic act. Another fascinating thing about watching things like this is the small things you learn. (like the fact that he wrote the Olympic fan fair!) Don’t get me wrong, the big amazing stories stay with you. But those small things I always find very special. It’s impossible to really put your finger on what makes his man’s work so amazing, and people far more talented then I will do much better, but to me it’s this… I am at my happiest when there is music in the air. It’s a nearly tangible thing, you can feel it wrapping it’s self around you, and if it’s very good it gets imprinted on your heart and it’s that moment that stays with you forever. Music is the only thing that can instantaneously bring me to tears. Tears of joy, tears of pride, and just tears of emotion, no specific emotion, something so deep, so moving the only thing you can do is tear up, there is no way to explain what it is doing to you other than to look at the person next to you, see the tears in their eyes as well and know that that great undefinable emotion is shared. 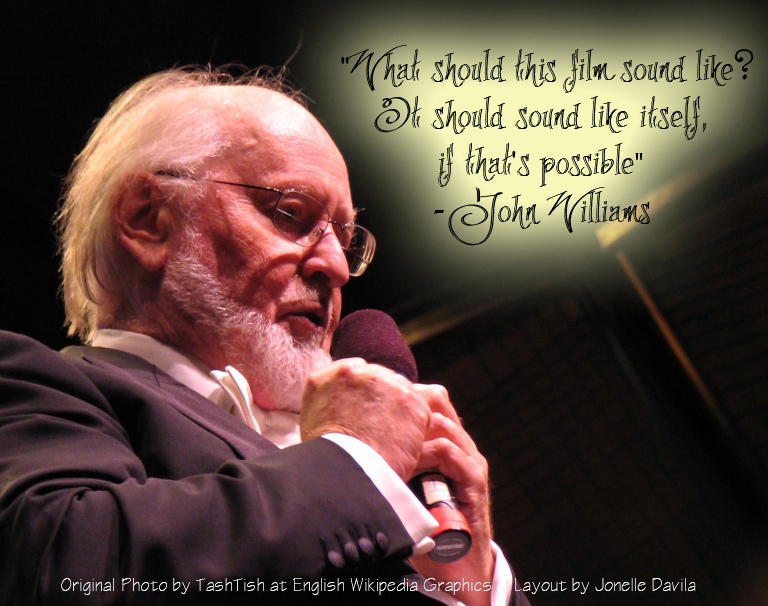 John Williams can do that more than any other composer I know. And for that we are eternally grateful. I watch very few things with all my attention. I’m usually on my computer or making chainmail, but this beautiful tribute made me close my laptop and just enjoy this hour and a half of television. It’s really too bad that it’s not going to be on again because I know several people who would have loved it. Guess that’s what I get for not checking the schedules more often.